EAST RUTHERFORD, New Jersey -- State police say at least 30 people were arrested at a weekend Guns N' Roses concert in New Jersey. Police say the arrests happened during Saturday night's show at MetLife Stadium. Investigators say 30-year-old Kimberly Goodman was charged with aggravated assault against two state troopers, who sustained minor injuries. Troopers say there were also arrests for solicitation without a permit, disorderly persons, criminal trespassing, simple assault, drug offenses, resisting arrests, open lewdness and harassment. 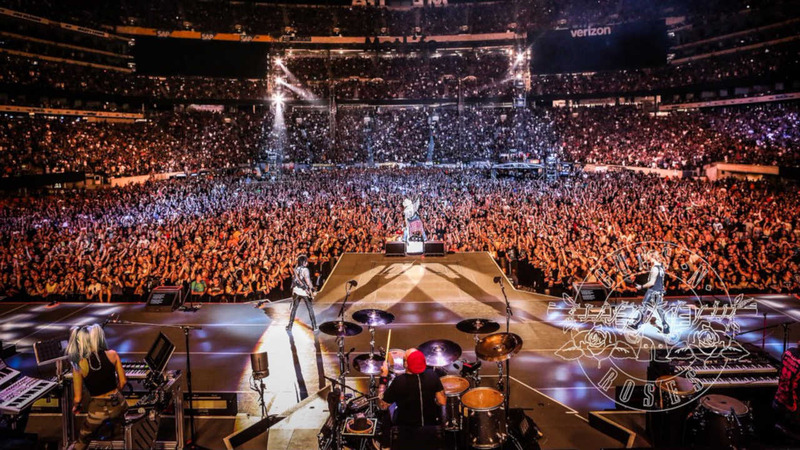 The arrests happened during the first of two weekend Guns N' Roses concerts at the stadium.